Pippin Drysdale (Personal show 2014). Art critics and no doubt future art historians will discover fertile ground for discussion and perhaps even debate in the work of British artist Jonathan Keep. His contrarian nature has fully fledged with his venture into an amalgam of cutting edge technology and art. Contrarian? How many sculptors with full street cred as fine artists do you know that covet the label of potter? Keep leaps fully clothed into the turbulent waters raging in the breach between science/engineering and art only to discover that… he is still dry. The great scientists—from Newton to Einstein—who created the foundations for engineers to build our modern world have always spoken of their various disciplines as a search for the beauty of Nature. Fine artist have never had a monopoly on beauty in spite of their oft times outspoken Luddite outrage. Artists have always used whatever materials that science and engineering made available. What Keep has accomplished is to use the tools of scientific discovery to capture beauty directly. 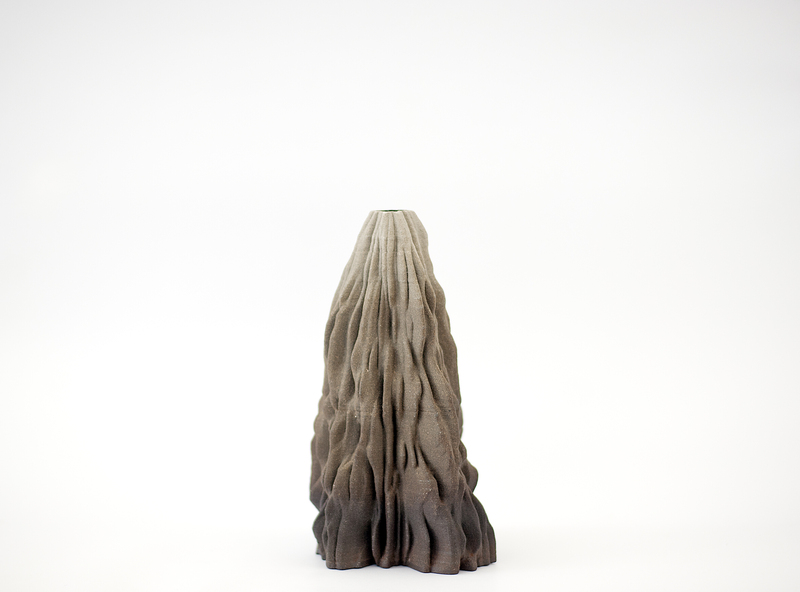 A genuine art pioneer, Keep has long used computer software to develop new ceramic forms. With an abiding interest in the hidden numerical code that underpins all of Nature, he has developed a working process whereby the shapes of his creations are written in computer code. 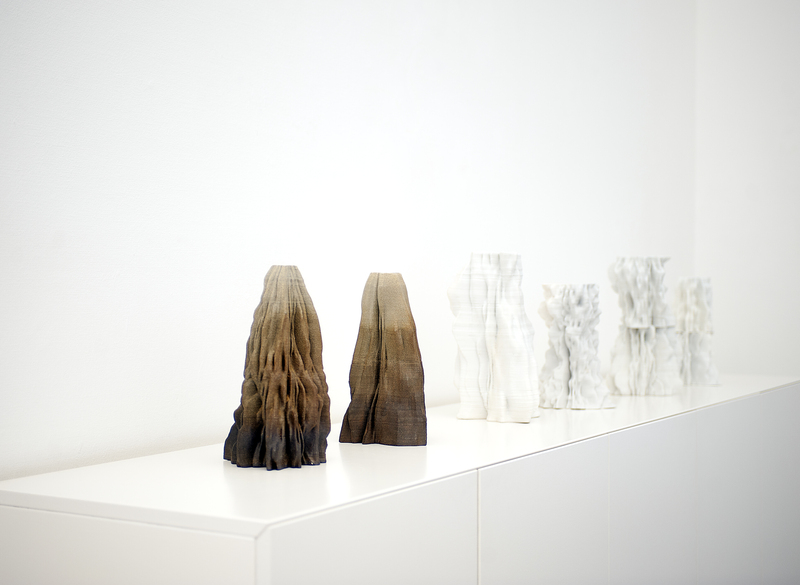 This digital information is passed through his studio-based DIY 3D printer—no less an engineering achievement—that he adapted to print in clay. Push the button and Eureka! Layer by layer, his pots (I prefer to call them artworks because they are certainly the children of his mind) are printed out. It is a sort of mechanical pottery coil building. 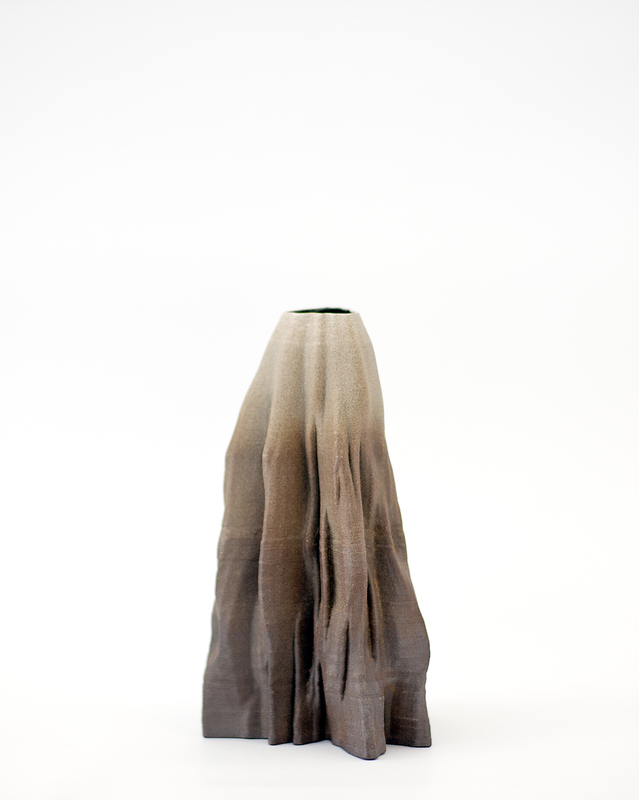 After printing, the ceramic object is glazed and fired in the normal manner. Keep built his own 3D printer based upon a robotics model. The “ink” in Keep’s ceramic printer is ejected using a clay extruder made from parts adapted from the adhesives industry. We are seeing the future and it is full of Icebergs. Only Luddite sailing aboard their own little Titanics need fear these seas.